What if you’ve been forcing yourself to eat kale and it’s not even actually good for you? What if you’ve been doing fitness bootcamps and your body would thrive on pilates instead? What if your body was talking to you and you could actually hear it? We all recall the Human Genome Project (HGP) – the much anticipated collaborative effort that is the foundation for research into the treatment of disease known as precision medicine. Completed in 2003, it was understood that once the genome was mapped we would have the blueprint to our bodies and start the guidebook to our health. Precision medicine recognizes that we as individuals are each unique, that accordingly we have different health needs and health risks, and that we will respond differently to various treatments and medications. The HGP has also provided knowledge that has spawned an array of commercial enterprises dedicated to providing you with your own personalized menu of potential health conditions and inherited risk factors. Most of us have seen ads offering to map our genome – we only need provide a saliva sample. While this data is interesting, and may rule out certain health concerns while confirming others, it falls short of being able to recommend practical application of the data. It turns out that there is another factor, a factor that moves the information along the spectrum from ‘might be beneficial’ to ‘essential knowledge’. While our individual genome does represent our own personal blueprint, like any plan, it can be altered. Gene expression, or Epigenetics, speaks to the modification of our genes based on environmental factors. Factors like stress, sleep, diet and nutrition, physical activity and exposure to chemicals can alter the epigenome – the suite of chemical compounds that tells the genome what to do. Without modifying the underlying genes, the epigenome interacts with DNA and changes how genes are expressed. Your epigenome is you. 1. DNA methylation where proteins attach chemical tags to the bases of the DNA molecule and can then turn genes on or off by affecting interactions between the DNA and other proteins. 2. Histone modification whereby DNA in cells is wrapped around histone proteins that are wound into chromosomes inside the cell nucleus. These and other proteins can interact with each other which determines whether that region of DNA will be used or ignored. In addition, non-coding RNA and Chromatin-associated proteins are also involved in this process. Yes, it’s complicated. But because of this, you have a phenotype – defined as the manifest characteristics of an individual collectively, including anatomical and behavioral traits, that result from both its heredity and its environment. In other words, you are the sum of your epigenome, and you are unique. 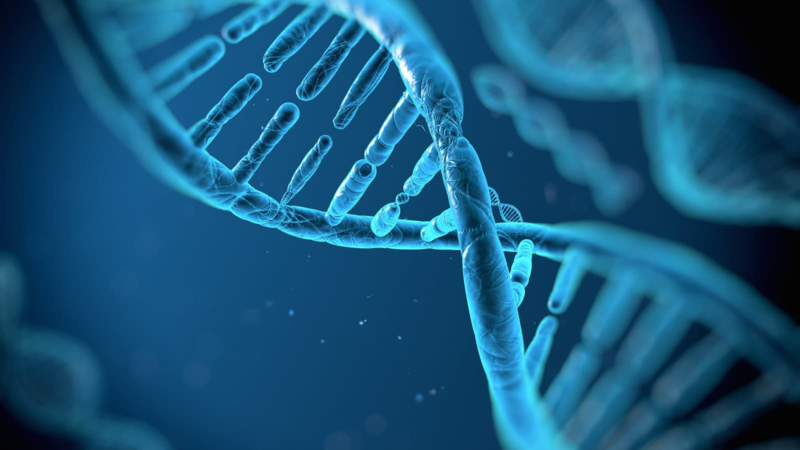 A fundamental truth of the genome and the epigenome, is that no two are exactly alike. And knowing that, we must acknowledge that one-size-does-NOT-fit all and that, therefore, a personalized approach to health is required. Precision health, actually. “We must recognize the complex network of interconnected physical, hormonal, skeletal, and environmental processes that influence who you are. You are a dynamic being, changing every moment of every day, depending on your environment, your diet, your exercise, and the people you spend time with. For this reason alone, it’s important to recognize that your dietary, fitness, and mental needs will change frequently” explains Matt Riemann, ph360 founder and personalized health expert. It means that your genes are not your destiny. It means that you can influence the expression of your genes. It means that you have much more control over your lifelong health than you knew. We have varying degrees of control over the stressors in our lives, the amount of sleep we get and the toxic chemicals we come into contact with, but with diligence, we can minimize stressors and exposure to harmful substances and maximize sleep and integrate stress relieving and reducing strategies into our lives. What we do have more consistent control over is our level of activity and exercise regimen and, more relevant here, our nutrition. When we understand that we require a personalized plan and approach, we can leverage these for optimal health. Nutrigenomics is the study of the interaction of nutrition and genes. Nutrition research has traditionally focused on the assumption that all individuals have the same nutritional requirements. More recently, great strides have been made in the field of nutrigenomics and studies show that nutrients can alter gene expression. Now we understand that because we are each unique, one person’s superfood can be another’s poison. This is important news for the prevention and management of chronic disease as the impact of diet on conditions like heart disease, diabetes and obesity has clearly been shown. And its important news for those of us who want to preserve our health and improve our well-being thus controlling our health destiny. So, how do you go from knowledge to application? Now that you know that you are unique, that your genes are not your destiny, that your phenotype is the current version of you and that you can control your health and well-being, you are probably asking “how”? How do you know what’s right for you specifically? We now know that your genome is not the current expression of you and that we need to go beyond a DNA based diet and into a personalized lifestyle plan for best results.